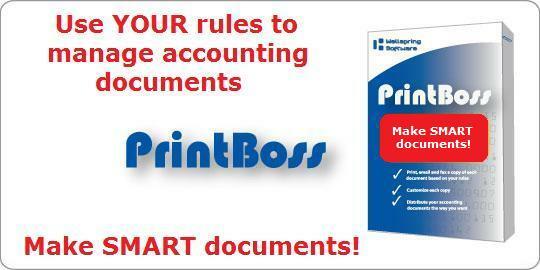 Schedule your PrintBoss enhancement in the month of May or June and receive 1 hour of consulting time FREE! Call our office to schedule your enhancement today! Now more than ever you need to have complete control over all your assets at every step. PrintBoss is a state of the art software that integrates with Sage Pro, and many other accounting systems and allows you to print checks, invoices, deposit slips and other documents directly from that accounting package. PrintBoss is a useful ehancement to Sage Pro, Sage Accpac, Sage Peachtree or any accounting or report based system.